The amount of yellow on the throat was much deeper than the books I researched. Fortunately I had reliable assistance for an id (Thank you Cathy). 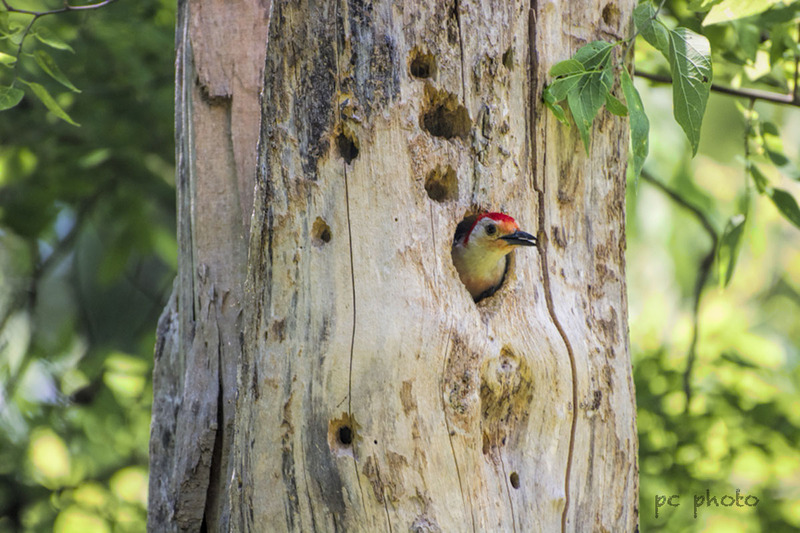 This Red-Bellied Woodpecker sat with it’s head poked out from a hole in a tree as I snapped it’s portrait.